The plugin that we're going to talk about today has been PROVEN to get results. It allows you to use your own video OR other people's to build your list AND make sales at the same time...and it looks cool too! Today Aaron Wolfe is on the show to give us a demo of his Video Rizer plugin that will build your email list for you and get you more sales. Here's A Quick And Easy Way To Create Thank You Pages For Your Downloadable Products - And Substantially Boost Your Profits By Upselling After The Sale! 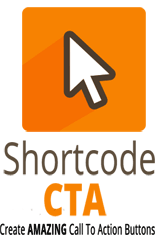 Bonus #2 – WP Shortcode CTA Plugin ($37 value)Create Amazing Call To Action Buttons With This Easy To Use WordPress Plugin! Create amazing call-to-action button shortcodes to show offers, coupons and even collect email leads! Collect Email Leads and Generate Twitter Traffic! 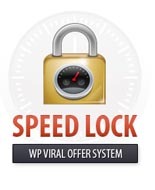 The Ultimate Viral Speed System - Collect Email Leads and Generate Twitter Traffic! Grow Your Business With The Ever Green Lead System! Easiest Way To Get High Quality Leads! 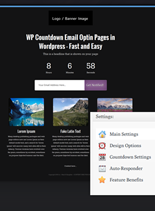 Create Email Opt-in Countdown Unlimited WordPress Pages in Only Seconds! Countdown To Any Date, Collect Leads and Redirect Traffic After Countdown Date!